I did give Flash a try before this, and all I could find was this tutorial on how to export to a sprite sheet. I had a lot of issues with this process. First the entire SWF document couldn't be exported, only a symbol. Second is the fact that you pretty much have no control over the pixel size of a symbol, and therefore the size of the export. Thirdly the export to sprite sheet just didn't have enough options for my needs. This is why I passed on Flash initially. Then I discovered that you can just export an entire swf has a .png sequence. Hooray! I can export a bunch of images of an animation, and since I can define the size of the swf, I can define the size of the png exports. Now all I need to do is somehow turn it into a sprite sheet. That's where Shoebox comes in. 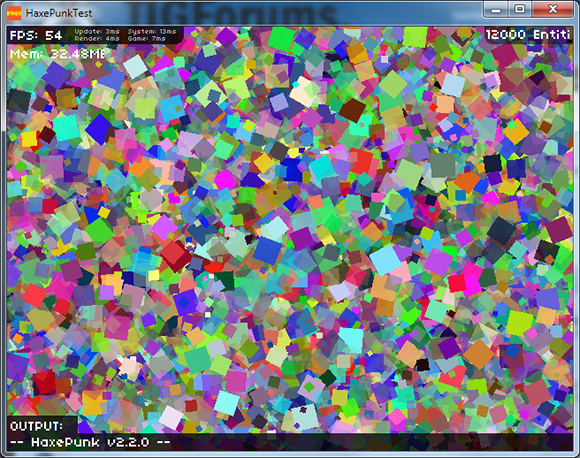 This program is an Adobe AIR application that is sort of a swiss army knife for 2d game development. One of the features that I'm using in my current process is the frame sheet builder. At first I was using the frame sheet builder with a sequence of png files, but then I discovered you can just use an exported swf file instead. So after all of that, my current pipeline for animating frame by frame stuff is Flash, export to SWF, use Shoebox to convert it into a sprite sheet, and then import it into the game. It's not a terrible workflow at all, but sometimes using Flash is a little infuriating. Last week I posted a quick NineSlice class that I wrote to work in Flashpunk. It was a little clunky, so this past week I cleaned it up and integrated it with Flashpunk's graphic system. The new version now extends Image, so you get all the awesome Image effects like color tinting, rotation, scaling, and more. Check out the new version! Thanks to the handy dandy nine slice object, most of this menu is just drawn with a couple of simple source images. I scaled them up 4x so you could see them a little better. Just using these images as sources means I don't have to make a new image every time I want to change the size of one of the widgets. I can also do some cool animations with tweening the width and heights of the panels over time. Feel free to use the NineSlice.as class however you want. If you use it or improve it in anyway, let me know! As I've been working on this Global Game Jam game remake, I've been trying to come up with solutions for problems that I can hopefully reuse for more projects in the future. 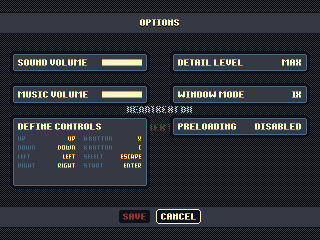 One of the things I've been thinking a lot about is managing and drawing the various user interfaces for the game. 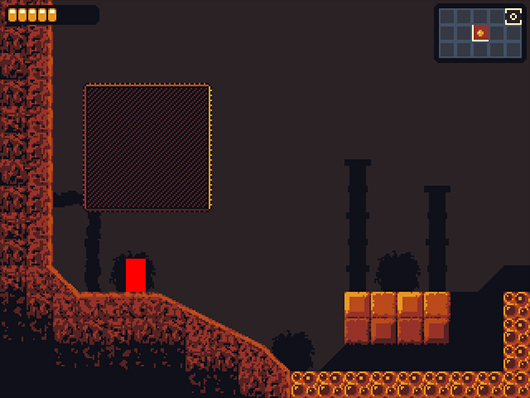 Even though I'm not quite sure how much UI stuff this game will need, I wanted to have some sort of solid base to start with so that I could get stuff up and running quickly. One of the most basic core structures of drawing a cool UI (in my opinion!) is a 9-slice graphic object. What's a 9-slice graphic object?! Well, here's a quick example of one that I have working in Flashpunk right now. Right now this is a very rough first pass on this kind of thing. Ideally it would be some sort of Flashpunk graphic extension that would plug directly into the Flashpunk rendering system. For now it makes use of the Flashpunk Draw class, and some utility functions that I've written for myself. Feel free to use it or improve it, and if you end up improving it then let me know!